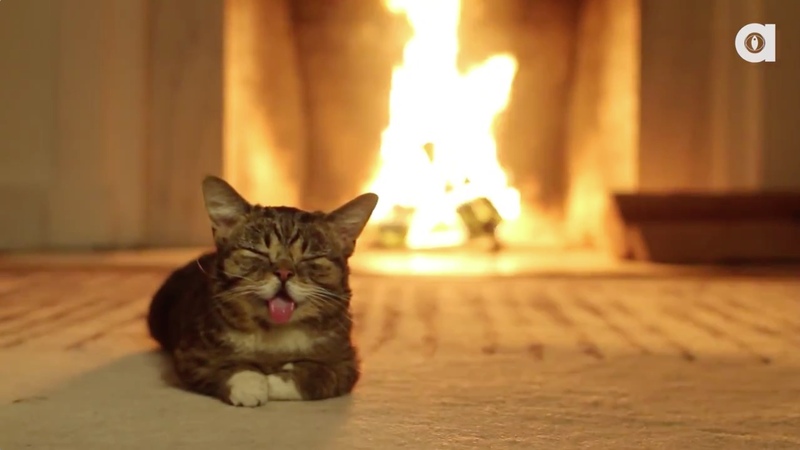 Lil Bub Yule Log: The True Spirit of Techmas! Building a real fire is messy, smokey and potentially dangerous. The answer is, of course, just to throw on a yule log video and safely basked in the glow and warmth of the season. Enter the X factor — SHE is so purr-fect! So purr-ty! Get the ultimate, get the Lil Bub Yule Log. “Oh come let us adore him! Oh come let us adore him! Oh come let us adore him, Lil Bub rules!” to the tune of O Come All Ye Faithful (iTunes). So, by all means, get the Lil Bub Yule Log and you will experience the reason for the season, the true spirit of Techmas. If you would like to download the Lil Bub Yule Log video, to have and to hold, here are some handy apps — 4K Video Downloader Mac App Review (Mac), How to download YouTube videos to your iPhone or iPad (iOS), YTD Video Downloader Android App Review (Android). Want Lil Bub on your desktop, a little Techmas wallpaper action? Just right click (two-finger tap) on the image above, you will know what to do. How are you celebrating Techmas? Share you geek gift grabs and thoughts in the comments below!